Why don’t you give yourself a break and have us conduct your upcoming relocation for you? We are a seasoned removal team in Woolwich that provides high quality moving services to its clients. At the moment we are known to be the local moving business that offer the most comprehensive removal services. We utilize high quality instruments to offer the highest level in of quality when handling a removal in Woolwich. We have invested heavily into top notch moving tools because we firmly believe in the saying that the better the tools are the better the services will be. However, having high end moving tools isn’t enough to provide to our client the impeccable removal services that they deserve and this is why we have employed only the most experienced, capable and ambitious movers and drivers. It is the combination of highly qualified workers and first-class man and van instruments that has made us the removal company to call when it comes to removals Woolwich based. Keep in mind that we provide our custom removals in Woolwich and all our other services at highly reasonable prices, so don’t worry that our services may be expensive for you. As we mentioned several time we operate in the area of Woolwich. The area of Woolwich lies in the southeastern parts of London and is part of the Royal Borough of Greenwich. 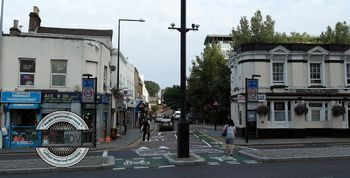 The area is recognized in the London Plan as one of the 35 major centers in Greater London. The area is home to several prominent landmarks such as the Woolwich Royal Arsenal Gatehouse, Woolwich Town Hall, the former building of the University of Greenwich and many more. In 2006 the area of Woolwich was the location where the highly rated “Children of Men” movie was shot. The area is served by the Woolwich Arsenal Station which was founded in 1849. The station is one of London’s oldest railway stations and is managed by the Southeastern Company.